24 Hour Bakeathon – Cakes, Cakes and More Cakes!! 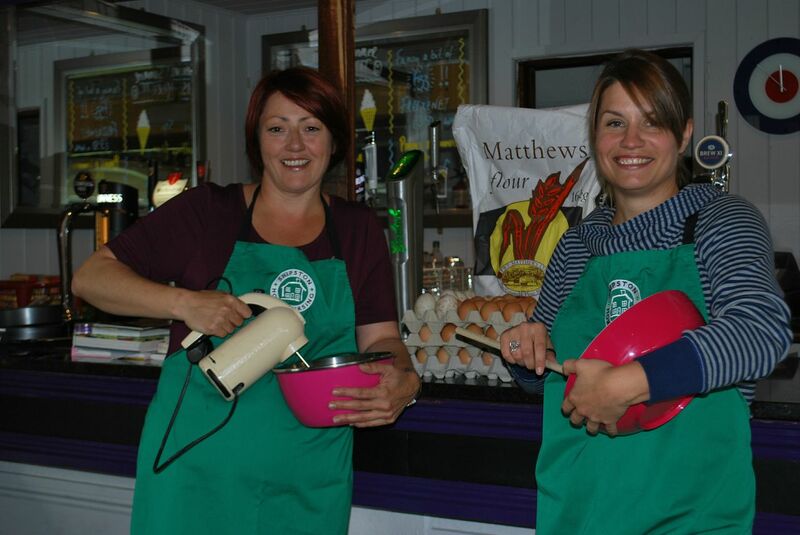 This weekend at Shipston Sports Club our nurse Jodie Wright and Emma Morris, Club Steward organised a 24 hour Bakeathon. From 12 noon on Friday the 27th till 12 noon on Saturday the 28th the girls got their aprons on and got baking to raise funds for Shipston Home Nursing. Bakers of all ages arrived to bake their favourite recipes from Beetroot and Carrot cakes to Rainbow cakes and Apple Pies by the ½ dozen, thanks to Taste of the Country and Shipston Bakery for helping with ingredients and all who generously donated raffle prizes. A hamper from Roger Clarkes in Shipston, matching jugs from Richard Harvey and three signed cookery books. In the absence of Mary Berry our local celebrity chef Adrian Roberts from Four Leaf Clover Catering and Events popped in to spur the girls on. The team then packed up and sold all their goods at the Shipston Food Festival on Sunday and thanks to the weather it was really well supported and by midday the girls had sold everything. The total the girls raised over the weekend was £1011 for SHN a fantastic achievement. A huge thanks you to Jodie and Emma for giving up their time and everyone who came and baked and all those who bought. A truly marvellous idea, Jodie and Emma were inspirational.